Heidi A. Eriksen, is an Indigenous Sámi, working as a general practitioner and chief medical officer in her home of Utsjoki, Finland — the northernmost municipality of Finland with Indigenous Sámis comprising a majority of the population. Raised in Utsjoki, she has worked at the Utsjoki Health Care Centre since 2005. 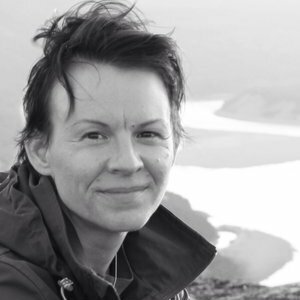 Since finishing her doctoral thesis focused on biochemistry in 2010, her research interests have centered on the health, disease and wellbeing of Sámi and other Indigenous peoples; an interest that arose through her work with the Sámi population as she noticed the lack of stewardship of Sámi people in the health systems and lack of systematically collected data on Sámi health and wellbeing issues. Heidi was an elected member of Sámi Parliament from 2008 to 2011 and a member of Sámi Parliament’s Social and Health Board from 2008 to 2011 and 2012 to 2015. She has been a member of advisory boards for several projects concerning Sámi health and social issues.